Toyota is having a string of bad publicity in the United States, the company’s largest market where Toyota’s perception of quality helped it become the largest automaker in the world this year. Toyota has already shown up on top of the list of brands with the most number of U.S. factory recalls for 2009, beating out recall regulars General Motors and Ford. The largest recall was, of course, to cut down throttle-pedal length to fix the “unintended acceleration” issue due to floor mats, and one would assume that Toyota has otherwise had a perfect record for being forthcoming about problems. But the Los Angeles Times newspaper begs to differ. A recent investigation by the newspaper shows that Toyota may have concealed safety issues on several occasions in an effort to keep its name clean. The paper reports several incidents of Toyota concealing defects or delaying recalls even after several complaints were made. In 1994, the NHTSA slapped Toyota with a large fine for providing misleading information about a fuel leak in the Japanese-built Land Cruiser, and waiting two years to undertake a recall to fix the problem. Toyota acknowledged that it failed to conduct a timely recall but denied withholding information from the agency. Among the list of indiscretions, there was an issue with a plastic panel that could be dislodged, potentially leading to unintended acceleration in some 2003 US-built Toyota Sienna minivans. Engineers reportedly discovered the problem and fixed the issue after 26,000 units were made. Toyota announced a recall only six years later. Fast-forward to 2004, and Toyota recalled about 330,000 vehicles in Japan after a crash there, caused by a broken steering linkage, seriously injured five people. The vehicle in the accident, a Hilux Surf, was sold in the U.S. as the 4Runner. Other variants, including the Toyota 4×4 and T100 pickups, also used the same linkage, a steering relay rod. 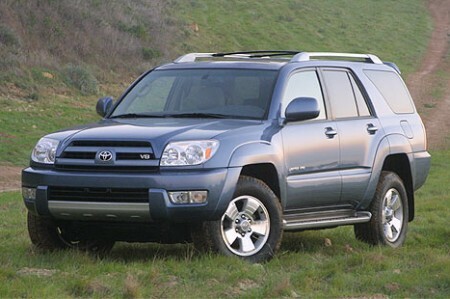 In September 2005, Toyota recalled nearly 1 million vehicles in the U.S. to replace the part, its second-largest campaign. The paper also says that although the sudden-acceleration issue only caused a public outcry this year, after 19 deaths, the problem has been heard about for years, according to NHTSA data, leading to eight previous low-profile recalls related to unintended acceleration since 2000. Apparently it all started after Toyota began the use of electronic throttle control in some models, and may not be related to floor mats. Recently, a lawsuit was filed by Dimitrios Biller, an ex-Toyota lawyer who alleges that his former employer hid safety data and evidence in rollover cases. Toyota says his claims are inaccurate. Toyota has allegedly paid out cash settlements to people who sued after serious accidents. Other motorists who complained of acceleration problems with their vehicles have received buybacks under lemon laws. In both cases, the affected owners were forced to sign non-disclosure agreements to get the money and keep the incident quiet. On an unrelated note, after a loss-making year due to the recession, Toyota has just announced that they are cutting costs by 30%, mainly by using cheaper parts, according to the Reuters news agency. “after a loss-making year due to the recession, Toyota has just announced that they are cutting costs by 30%, mainly by using cheaper parts, according to the Reuters news agency.” Using cheaper parts is not a good way to restore the buying public’s confidence in the quality of Toyota’s products.